All playgroups are similar in nature; babies and young children accompanied by caring adults meeting regularly to play and learn together. Playgroups can also be quite diverse and unique. All families in your group will be different, bringing with them a range of experiences, skills, interests and expectations. Some playgroups may form to meet a specific need or philosophy. Anyone can attend these playgroups but they usually attract families with similar interests or need. Baby, Toddler and 3+ sessions. When creating a playgroup for a specific age, make sure toys and activities are age appropriate and support the learning and development of different skills. 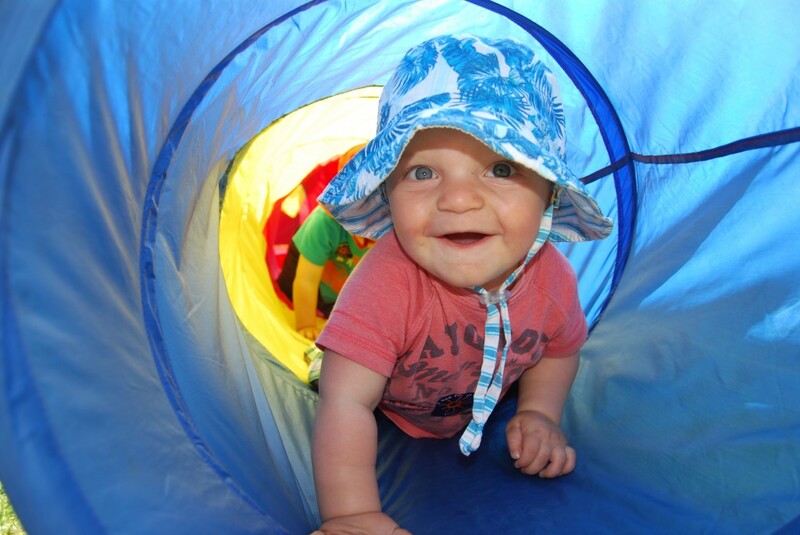 Playgroup WA has activity sheets and homemade toy ideas for the different ages and stages of development. Some families prefer home-based playgroups as it can be easier for the children to play with a small group of children in a home setting. Some parents also find it easier to get to know each other in home playgroups since they tend to be smaller. For home-based groups we suggest you keep the group small, between six and eight families. With older and more mobile children, trips to a local park or library are also a great idea. Many fathers already attend community playgroups. Some prefer to join a father’s only playgroup where the playgroup is run by local dads and offers support for fathers who are their children’s primary caregiver. Some families from culturally and linguistically diverse (CALD) backgrounds choose to meet together to share their parenting experiences and give their children a culturally rich experience. A couple of popular language and cultural playgroups include Japanese and French. These FIFO Playgroups consist of fly-in fly-out families. It is a great opportunity to meet other FIFO families that know exactly what it is like when you are home alone, while the other parent/partner is away at work and share parenting tips and challenges. They offer a great network of support whether you are staying at home or flying in and out. Get outside and enjoy nature on a regular basis. Connect young children with nature through weekly, fortnightly, or monthly sessions. Taking playgroup outside in the rain or shine is always fun. Nature playgroups provide families the opportunity to share outdoor adventures and experience the benefits of time spent outside together. Intergenerational Playgroups bring together three or four generations. Intergenerational playgroups can also be established in a variety of aged care settings including residential care facilities, retirement villages and community based seniors centres. These playgroups provide seniors, children and their parents and caregivers with opportunities to interact through play. These are just a sample of the types of playgroups available. Families are welcome to start up their own playgroup based on their own needs and interests, even if one is already available in their area.